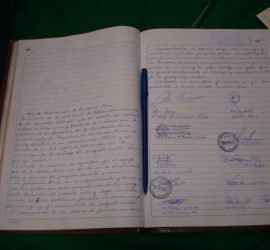 Peru’s First Lady, Nadine Heredia, visits our Patacancha Trout Farm project! In late 2010, when Alma was approached by the community of Patacancha to help them implement a trout farm and a school lunch program based on trout, the community’s primary school had eight empty concrete pools that were in desperate need of repair. Today, the fully functioning trout farm provides two to three trout based lunches a week to over 180 students in Patacancha’s primary and nursery schools. The students’ mothers volunteer to cook on a rotational basis, our well-trained local administrator holds monthly workshops for interested community members on trout farm implementation, and it is the only trout farm in the region to make its own trout food and reproduce its own trout. The school lunches require 12,000 to 13,000 trout per year, but the trout farm has the capacity to raise over 25,000. We have seen a decrease in malnutrition rates in the students and an increase in attendance and academic performance. The only thing missing was a committed group of parents to take the project over from the Alma Foundation – that is, until earlier this month. Several times over the course of our project in Patacancha, the community has elected a Parents’ Committee to be responsible for the project with the goal of one day administering it without outside assistance. Inevitably, the community elected only men and those men ended up not fulfilling their responsibilities for a variety of reasons. So this time, in the community assembly last month, we asked if there were any mothers interested in forming a Mothers’ Committee to gradually take on the administration of the trout farm. We explained that it would make more sense to create a Mothers’ Committee, because the mothers are already involved in the project due to the rotating cooking schedule and because women don’t regularly leave the community to work on the Inca Trail. To our great pleasure, four women volunteered: Isabel, Graciela, Timotea, and Victoria. The women have already met and begun training sessions with the trout farm administrator, Leo, and Scotiabank-Cusco is committed to providing workshops on basic accounting and microenterprise management. Throughout this year, we will help the women learn how to manage the trout farm to ensure that lunches will continue to be served, excess trout can be sold, and profits can be reinvested in the trout farm and the education of the community’s children. In fact, the skills to manage a small business are already there. 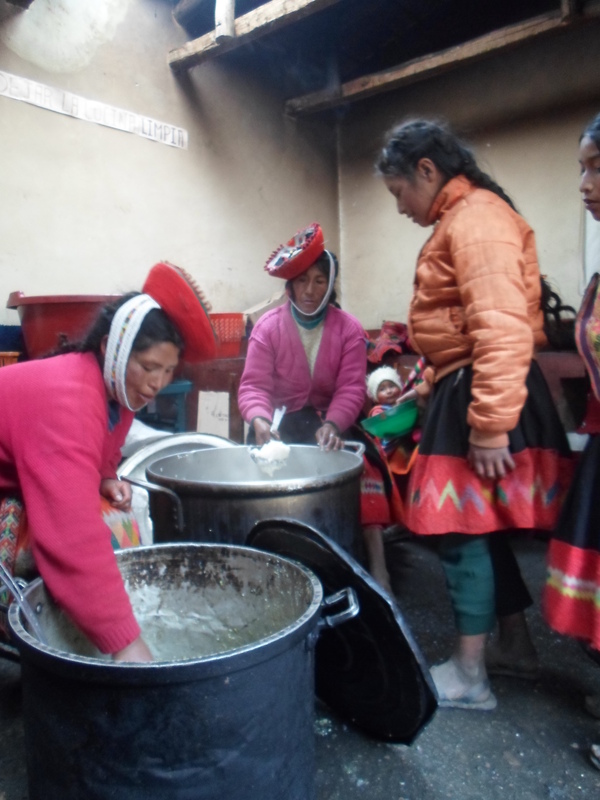 In Andean communities, women manage the household finances of the family. This ranges from actual income and expenses to keeping track of how many potatoes can be eaten, how many can be sold, and how many must be saved as seeds for the next planting season. The exact same skills can be easily transferred to the administration of a small trout farm business and we look forward to assisting Isabel, Graciela, Timotea, and Victoria do so in 2014!